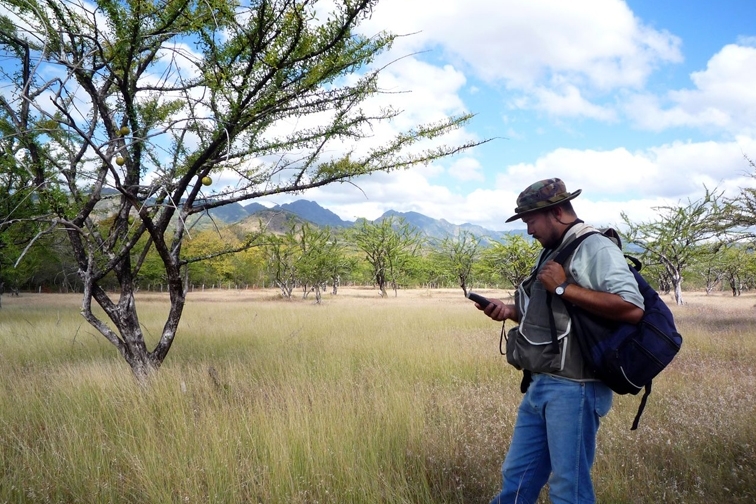 Rigorous mapping and monitoring is done each year to ensure the accuracy of reforestation projects. As Cascades’ carbon offsetter of choice, we, Taking Root, would like to take an opportunity to demystify the carbon market and share the story of our organization’s social reforestation project in this two-part blog series. Carbon offsetting is a new concept to many, but it has existed in one form or another for over 20 years. In the 1970s and ‘80s, scientists realized that the Earth’s average temperature was rising at an alarming rate. This was due to the greenhouse gases (GHG) – mainly carbon dioxide (CO2) – that humans were emitting into the atmosphere through the combustion of fossil fuels, deforestation, and agriculture. It became clear that we needed to significantly reduce our emissions in order to avoid the impacts of climate change or global warming. One solution that arose was to apply a monetary cost to producing GHG emissions. From this concept, a market was developed for buying and trading carbon offsets, which essentially allows one to compensate for their GHG emissions by paying someone else to reduce or sequester emissions elsewhere. Carbon offsetting has since been implemented within a regulatory market in Europe, Australia, California and now Quebec, and around the world through a voluntary market. In the larger regulatory market, companies, governments or other entities buy and trade carbon credits in order to comply with caps on the total amount of CO2 they are allowed to emit. In the smaller voluntary market, individuals, companies or governments purchase carbon offsets to mitigate their own GHG emissions from transportation, electricity use and other sources. Taking Root operates solely within the voluntary carbon market. The voluntary carbon market has experienced incredible growth over the past few years, reaching a record value of US$ 424 million in 2010. This represents the sequestration of an estimated 131 million tonnes of CO2 equivalent (MtCO2e), equal to more than all the emissions of Vietnam. Approximately 30.1 MtCO2e of these offsets sold were generated through forest carbon projects alone. This demonstrates the world’s keen interest in tackling climate change despite political and economic uncertainty. The regulatory carbon market represents a much bigger figure, sequestering 8,700 MtCO2e in 2009 (more than all the emissions of China), with a value of US$ 143,735 million. While no nation-wide regulatory market exists within Canada, the province of Québec recently joined the state of California in adopting a cap-and-trade system for GHG, based on the Western Climate Initiative, which will come into force in 2013. Although the system applies to operators that emit 25,000 tCO2e per year and more, small and medium businesses are beginning to recognize the importance of offsetting their emissions and are taking action voluntarily. There are many types of carbon offsets, including forestry, renewable energy (such as wind farms, biomass energy, or hydroelectric dams), energy efficiency, the destruction of industrial pollutants or agricultural byproducts, and the destruction of landfill methane. Taking Root’s offsets are generated through social reforestation in Nicaragua, according to the Plan Vivo Standard. Plan Vivo is the earliest independent certification scheme for forest carbon projects and is the only standard where projects always involve direct payments to communities, incentivizing action and putting money in the pockets of local participants. Read more about our project in the second half of this blog series, that will be post Tuesday, May 15, 2012. Peters-Stanley, Molly. et al. Back to the Future: State of the Voluntary Carbon Markets 2011. Ecosystem Marketplace and Bloomberg New Energy Finance. (June 2011) P iii.